I was moved by this amazing girl. I also work with an amazing girl very much like Carly. She is, like Carly, nonverbal with full blown Autism, complete with the behaviors that go with the lack of communication. She is, like Carly, writing and communicating with the use of a device. We both listened to "Carly's Voice" on audio. She is, unlike Carly, still requiring a supported hand when writing. She'll get there. 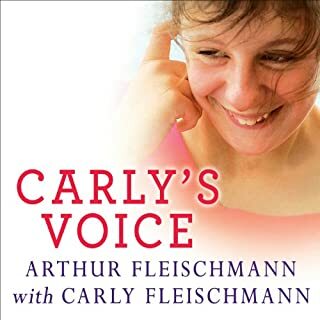 Thank you Carly and Arthur for such a brutally honest look at the tears and triumphs that come with Autism. We are truly blessed to know you.